Home Textile Testing What changes does the Crockmeter bring to our lives? What changes does the Crockmeter bring to our lives? 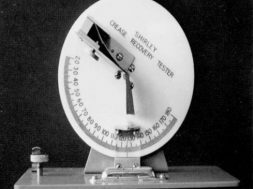 The Crockmeter is used to determine the colorfastness of the textiles to wet or dry rubbing. 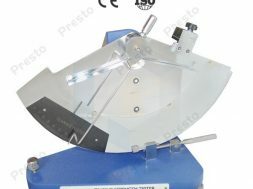 You can use the Crockmeter for the Crockmeter test and the Crockmeter price is also competitive. A pre-determined electronic counter is fitted in the Crockmeter for strokes of up to 999,999 times. The rubbing head is of 16mm and the rubbing stroke is of 104mm. The accessories of the Crockmeter will include two sandpapers, two rings and one box of AATCC rubbing clothing. It is important to carry out the tests in different countries according to their testing standards and then conduct judgment based on the results. The colorfastness is rubbed in exposure to the friction intensity as it is one of the important tests in inspecting the textile quality for the colorfastness to crocking. The overall colorfastness of the fabric is directly related to the test results. The human body can be harmed in different degrees due to the poor quality of some dyes. The standards are set by different countries and organizations to strictly limit the colorfastness of the home textiles and apparel. This is done to minimize the potential dangers done by the product. The testing methods have been developed by different countries and organizations according to their national custom and development standards of the industry. The safety of the dye is tested once it is rubbed which is similar to the daily tear and wear. You can identify the differences in the Crockmeter test method as they certainly have an impact on the test results. 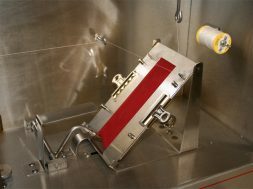 We can determine the average friction with the help of the conditions specified in the Crockmeter called the friction testing machine. We can categorize the Crockmeters into two types called as the manual Crockmeter and motorized Crockmeter. The standard white cloth is fixed to friction head in the crocking test. The testing is done for the friction of standard white Crockmeter test cloth for over multiple numbers of times. The degree of loss in the colorfastness can be assessed by transferring the color sample card and then we can calculate the level of colorfastness. 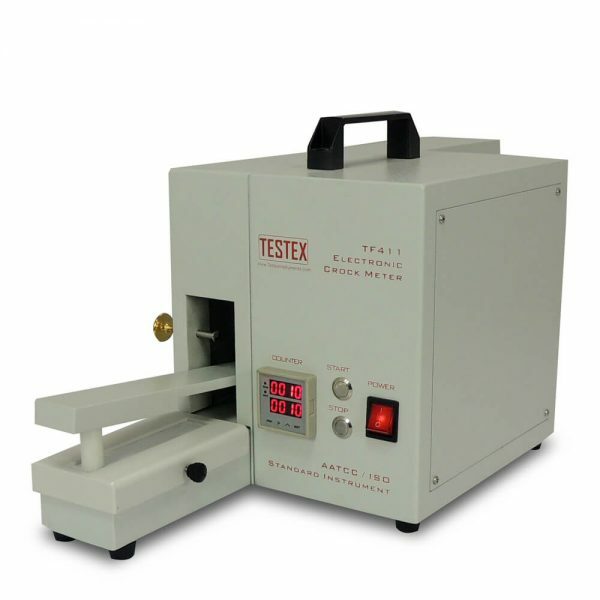 The GB rubbing fastness tester, JIS cross meter type, and AATCC Crockmeter are used in the test equipment. In the Crock meter test, the friction head vertical pressure is 9N. 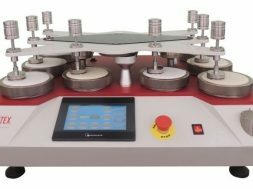 The weft or warp direction of the sample should be consistent in the running direction of the rubbing head by the rub test machine. The testing is done using the rubbing fastness tester. The rubbing direction of the Crockmeter test should be parallel to the length in the direction of the rubbing clothing or warp. 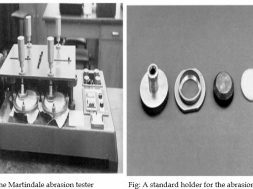 The GB is used with the grade 3 water, the JIS with distilled water, and AATCC with ionized water in the wet friction test. The control time required for the humidity is 4 hours. The textiles are tested using the different standard methods to determine the colorfastness of the rubbing and then the results are obtained. The dry friction is comparatively better when compared to the wet friction. The wet friction will hold the dry fabric which is exposed to the light color. The colorfastness levels are obtained in a better way by the wet fabric. The colorfastness levels are very poor in the printed fabrics. The flocking of the wet and dry friction is almost the same. The results are however not affected by the different test methods. The pure polyester fabrics are same even though there may be differences in the cotton fabrics. 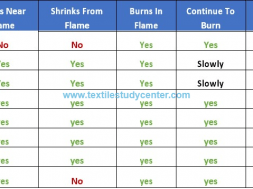 The velvet fabrics are also same under the different friction test methods. The colorfastness is better in the pure polyester fabrics and moist wool fabrics than the dry fabrics. 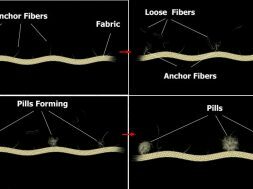 There is a certain impact on the composition of the raw material of the fabric under the different friction methods. 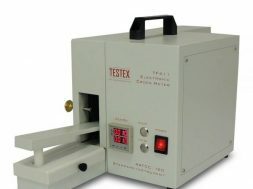 The Crockmeter is one of the basic items to determine the testing for the colorfastness of the textiles. There may be a difference in the data obtained from the test values in different friction.